We know you love your reusable water bottle so we made something cute for you to carry it in (what you put in it is up to you). Fits up to standard 25 oz Swell bottle or a bottle of wine. 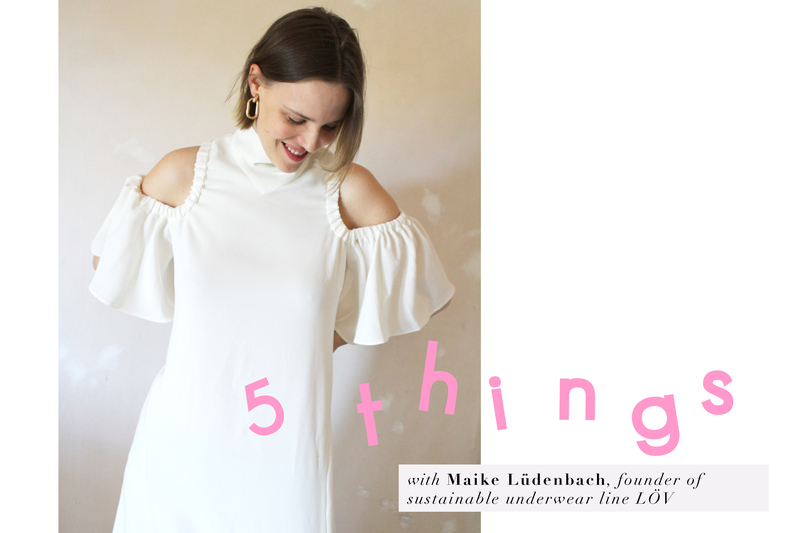 We’re so excited to share with you our latest interview in our 5 Things series where we chat with Maike Lüdenbach, founder of ethical and sustainable underwear line LÖV the label. Here we talk about how she got started, the importance of inclusivity and conscious production, growing up in Spain, and finding inspiration in friendships, real women, and the magical world of self care. The holidays are one of our favorite times to support fellow sustainable and conscious-minded makers and artisans whose products we love. Here. Debra and I have chosen the twelve items on our wish list this year. Sedona is one of my favorite places on earth. My family goes twice a year and I'm lucky if I can make it with them once every three years. As a family, we've been going to Sedona for as long as I can remember. When I was little I used to wade through Oak Creek and watch, mesmerized by the life underwater, studying carefully the fish, tadpoles, and algae existing together in harmony, in between hopping on big red boulders placed carefully on the creek like little islands. I remember there was nothing as lovely as drying off in the sun on top of one of these warm, sun-soaked red rocks after coming up from the water. I'm older now, yet my love for Sedona still remains. It's one of those places where time seems to stand still. 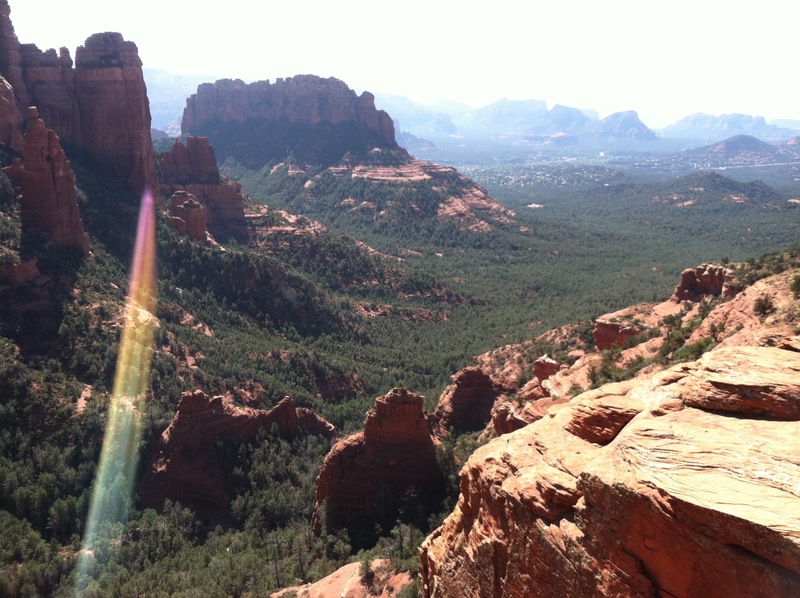 In Sedona, everything is easy and life is peaceful, not to mention there's no escaping from the awe-inspiring beauty of its land, which, if you choose to remove your focus from even one second, makes itself known in other ways. The town itself is about as touristy as it gets, but with everything from cactus shot glasses to red rock jeep tours, to aura photos and crystal healing, it's well worth exploring for an afternoon. I don't think we have ever been as excited to launch a collection as we are now with the launch of our new Piñatex Collection. Maybe that's because we have waited almost two years to get our hands on this innovative material that is still being made in relatively small runs across the pond-- or it could be because we are one of the very first American brands to be using it--or maybe because it is the most sustainable material we have ever used. So, what exactly is Piñatex? and what's all the buzz about? We believe in hands free happiness, the joy of less, ethical manufacturing, innovative materials that don't harm the planet or contribute to climate change, and knowing exactly who made our bags and where. So excited to show you our newest video taken behind the scenes of our latest lookbook photoshoot. The song is "sit still" by one of our new favorite artists, mossy. Check out more of his songs on his soundcloud here. We are so excited to launch the second part of our Sustainable Vintage Collection. These convertible belt bags are our most sustainable bags ever and as always, are completely vegan and made locally and sustainably in Los Angeles. What exactly makes a bag sustainable? Meet co-founders and mother-daughter team Debra and Rachel as they share their love of the fanny pack, why upcycling matters & a behind-the-scenes peek of shooting their newest line of belt bags, the Sustainable Vintage Collection. Back when we first started HFS, most people still viewed "feminism" as the second of three "F" words that one didn't say in polite company. You undoubtedly know the first, but may still be wondering about the third. In case you are, it's "fanny pack." Rebels that we were, we incorporated two out of three into our company DNA. From our inception, it has been our mission to liberate women from their baggage, not only physically, but mentally and emotionally as well. Maybe what Magritte said is true, "sometimes a pipe is just a pipe," but more often than not, a purse is not just a purse. For many women, it symbolizes a container to hold their missing pieces: full rosy lips, flawless skin, perfect hair, manicured nails, odorless armpits...etc. Well, it's always been our motto that if a man can get through the day with only the contents of his pockets, so can we. A mere, five short years later, and all three of these "F" words roll off the tongues of the most proper young women without a flinch. In fact, feminism has never been more popular of a word than it is now. Beyonce sang in front of it (2014 Music Video Awards), Alicia Keys renounced makeup in the name of it, and Jennifer Lawrence fought for it when she very publicly demanded pay equal to that of her male co-star. Feminism-- the belief that men and women should have equal rights and pay-- is something we, women, have fought for for centuries and are still in the process of working towards. If fashion is a means of personal expression, how have we, women, used it in the past to propel our movement forward in our hard-fought and centuries-long struggle for fundamental rights? 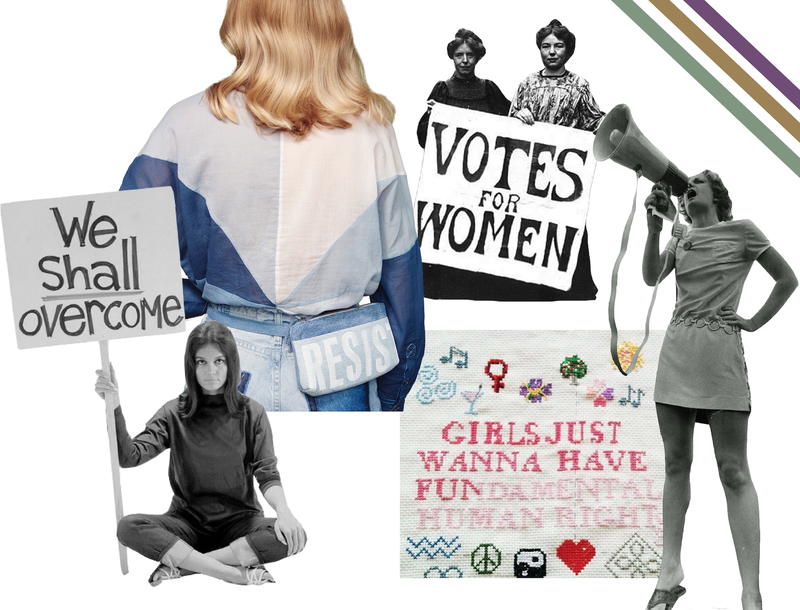 Here's a look at how the various waves of the women's liberation movement has influenced women's fashion throughout history. So excited to announce the launch of our new, sustainable vintage collection! Our most sustainable belt bags yet, these babies are made with 100% upcycled, vintage denim and organic cotton lining, and of course, they're made locally right here in Los Angeles. What's upcycling and why does it matter? Well, let's talk facts. People are finally starting to “get it” and not a moment too soon. Statistics show that 64% of Americans understand that human activity is causing climate change and are concerned. Climate change is not only real, but is happening faster than scientists originally thought possible, with devastating results that are already affecting many of us. Some scientists even believe that we are already beyond the point of no return and what we need now is immediate action to salvage what we can and reduce green house gases right now. Unfortunately, the United States is a major polluter of our environment and that doesn’t seem likely to change anytime soon. Although “many people” are expressing hope in tenuous reports that Ivanka Trump has taken interest in climate change (Thanks, Leo), the President-Elect, himself, continues to choose people for his cabinet who are card-carrying members of the Climate Change Deniers Club. In fact, Reince Priebus has told reporters that climate denial will be the official policy of Trump’s administration and the Koch brothers, and Big oil are already shaping Trump’s climate-denying environmental agenda. So, what can we, as individuals, do? As early as I can remember, I’ve had an inexplicable love for purses. As soon as I could manipulate scissors, my tiny, toddler self would construct them out of paper and a bottle of Elmer’s glue. Like intricate works of amateur origami, my paper creations weren’t actually strong enough to hold anything, but it didn’t matter because, at that age, I had nothing important to keep inside them anyway. All that mattered was that they were mine and they were beautiful. My love for purses only continued as I grew older. Celebrity Style: Elizabeth Banks in our Black Pocket Bum Bag! Yay! We just adore Elizabeth Banks and how much she loves her Hipsters for Sisters belt bag. Here she is exploring Copacabana beach in her HFS Black Pocket Bum Bag. One of our central missions at Hipsters for Sisters has always been to help empower and liberate women. Yes, this mission encompasses the physical liberation from the bulk and weight of the traditional handbag through our belt bags, but it goes much further than that. We also aim to help liberate women from the mental and emotion baggage imposed on us by our culture. As a woman, regardless of your politics, there is a silver lining to this horribly divisive presidential election: the underlying sexism inherent our culture has finally been brought to the surface and is being discussed in a serious manner. Introducing our new Pocket Bum Bag in Saddle. We're so excited to bring you our best-selling bum bag in two new colors for Fall. If we had to recommend one bag for someone who's new to our line and wants to dip their toes in the proverbial HFS pool, we'd definitely choose this bag (also comes in Black, and now Olive!). Why do we love this bag so much? Celebrity Elizabeth Banks wearing her Hipsters for Sisters Black Pocket Bum Bag. Fashion for a Just Cause? Fashion is increasingly being viewed as an immense waste of natural resources, with an environmental footprint large enough to doom the planet for eternity within just a few, short years. The consumer's voracious desire for cheap "fast fashion" has created an industry not healthy for children, the planet and most other living things. The good news is there are fashion pioneers working hard to balance the equation. These are mostly small companies, like our own, intentionally creating quality products, not only built to last, but also built with great consideration of our natural resources, respect for the people actually making them and our environment. The problem is finding them. 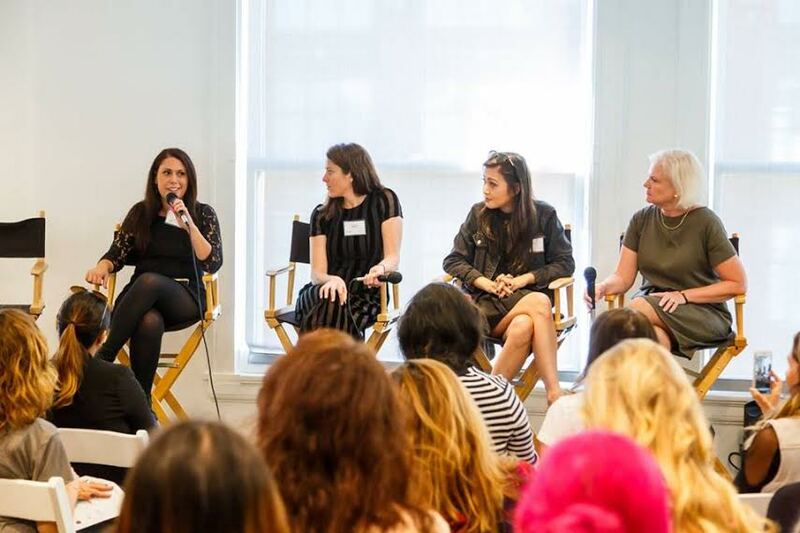 In a fashion world run by mega corporations with mega dollars to spend on advertising and PR, these small startups can get lost. Their only hope for survival is the ever increasing array of conscious magazines and fashion bloggers willing to do the research to find these small, ethical brands and share them with their own conscious audiences. While even the large, mainstream publications are beginning to occasionally feature a page devoted to sustainability (usually around Earth Day), the burden of saving the planet falls on the shoulders of those pioneering mavericks set out to make a difference. Well, it looks like the weather is finally beginning to catch up with our collective need for a change of “seasonry.” I hear that we (fingers crossed) may even get some desperately needed rain here in Southern California! 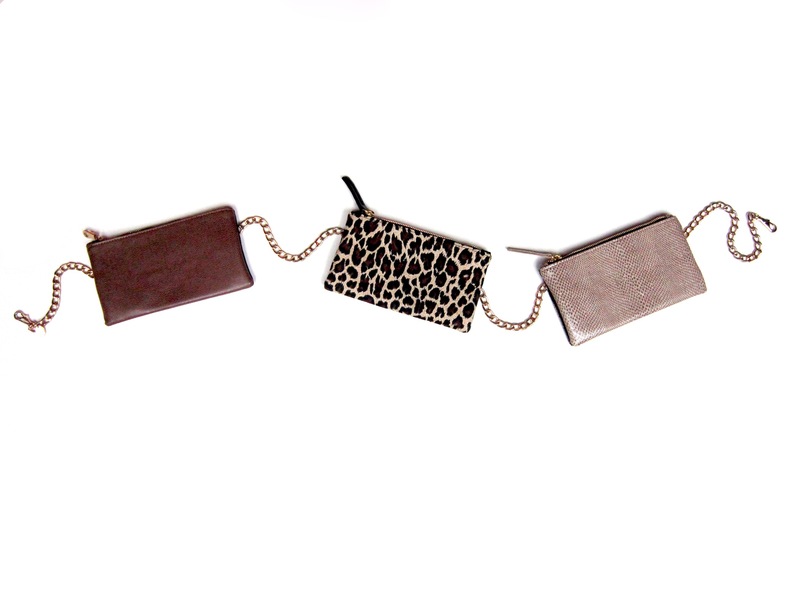 To welcome (and encourage) this change we’d like to officially introduce you to our three new belt bags for fall! 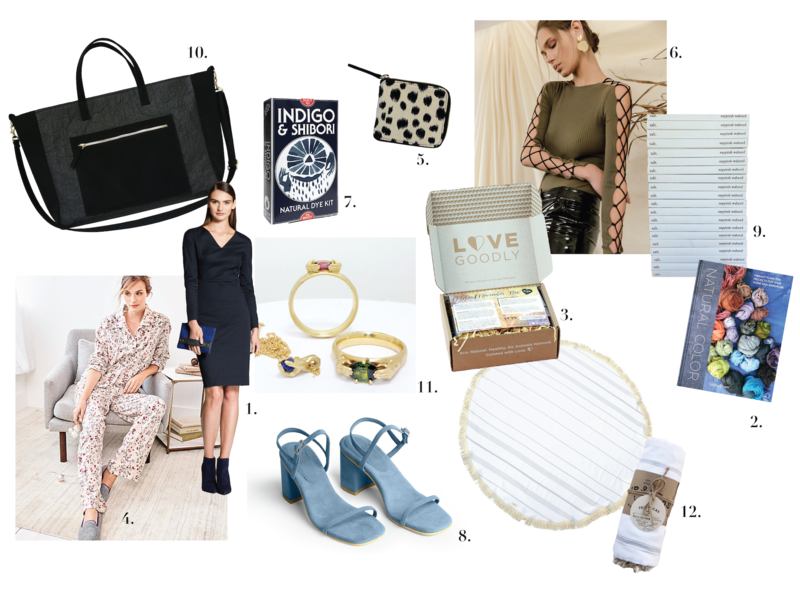 Style Spotlight: Convertible Belt Bags for a Hands-free Holiday! Introducing our favorite holiday gift this season, the new convertible wallets! Their versatility (wear as a wallet, belt bag or crossbody bag) makes them the perfect gift for just about anyone. Better yet, these wallets are designed with a secret sleeve which is roomy enough to store any phone including the I Phone 6+, leaving room for other essentials like your cards/cash, keys, and lipstick in the main zip compartment.